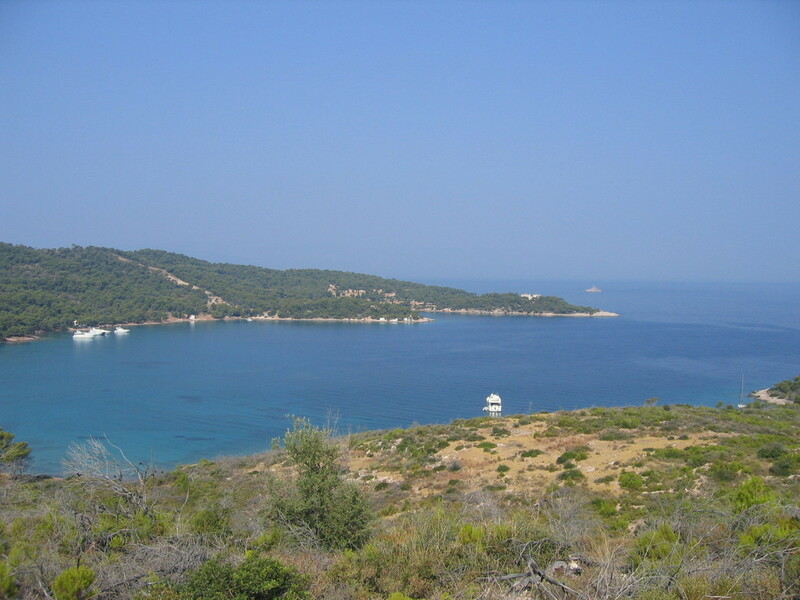 The large bay of Zogheria has twin beaches either side of a small peninsular where the small church of St. George (Ayios Georgios) is situated. Once down in the main bay the first beach is known as Lazareto, which is marked by the small chapel of Analypsi. 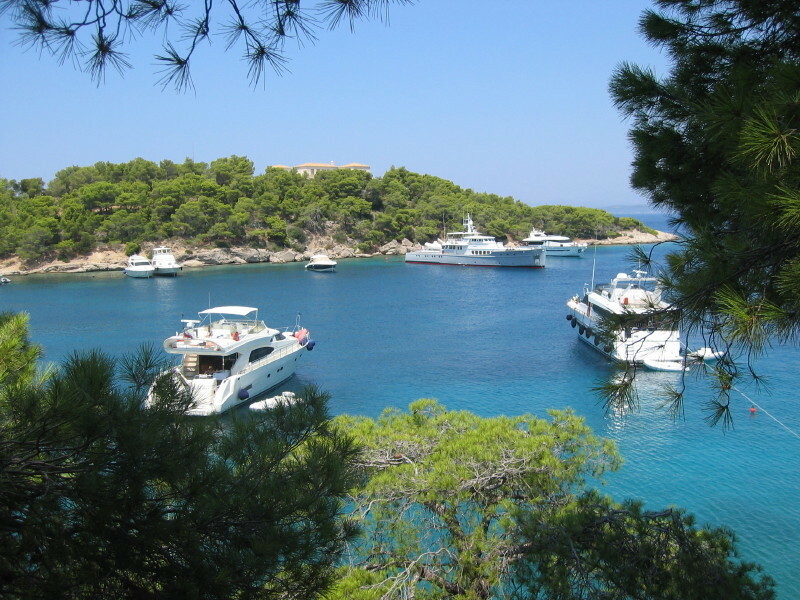 Following the path on foot, moped or bicycle, through the shady pines trees behind the beach, you come to the main beach of Zogheria. 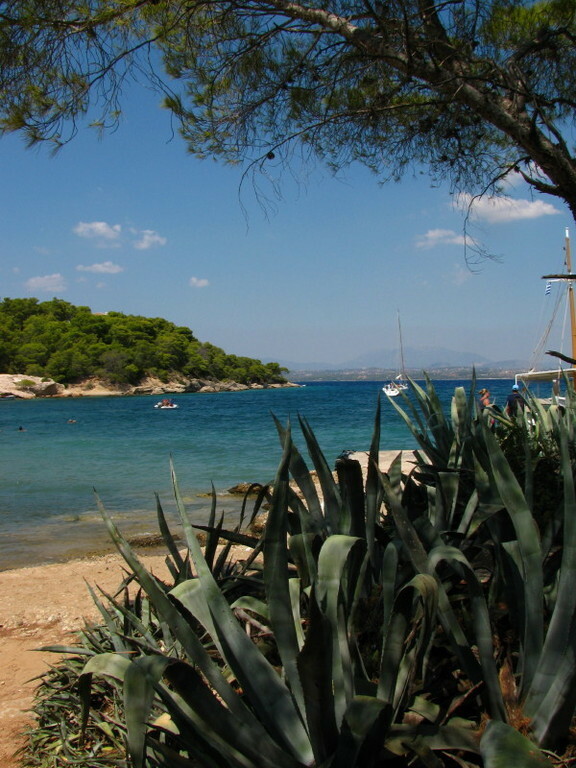 It is on this beach that you will find a small taverna. There are a few beds and umbrellas. The sea is shallow and warm here and the beach is sandy. Getting to Zogheria: By caique boat from the Dapia (not every day - please check); moped; bicycle; car taxi; water taxi; on foot - either all the way (a very long walk) or by foot from the main road at the top, followed by a long wind don through the pine trees and via the bay of Lazaretto. Churches & their Saints: Bay of Lazaretto has the small chapel of Analypsi and the bay of Zogheria has the small chapel of Ayios Yiorgios (St George) on the small peninsular.